After the stock market crashed in 1929, many Americans lost their jobs and many families in America's largest cities were unable to pay their mortgages or rent payments. To avoid living on the streets, people built themselves small homes in public places. 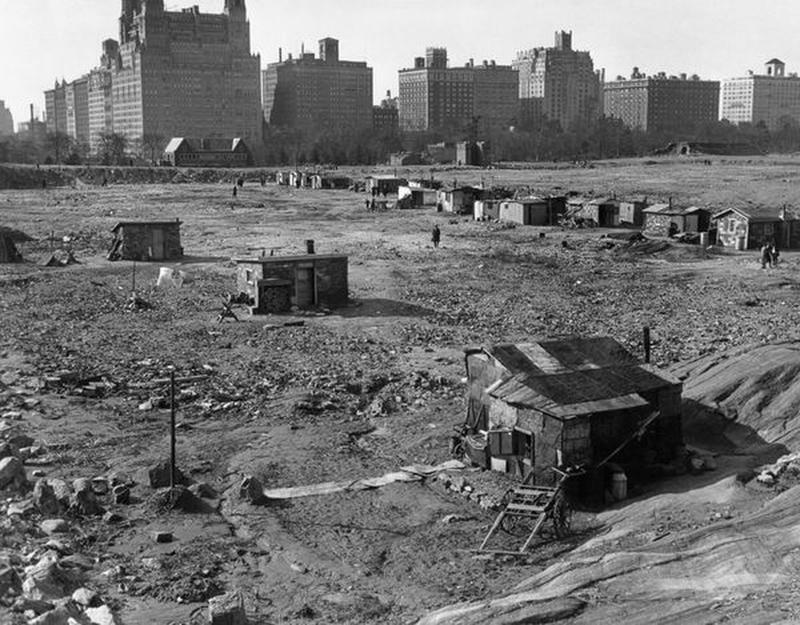 These shantytowns sprung up all across the nation and housed nearly 30,000 people during the peak of the Depression. 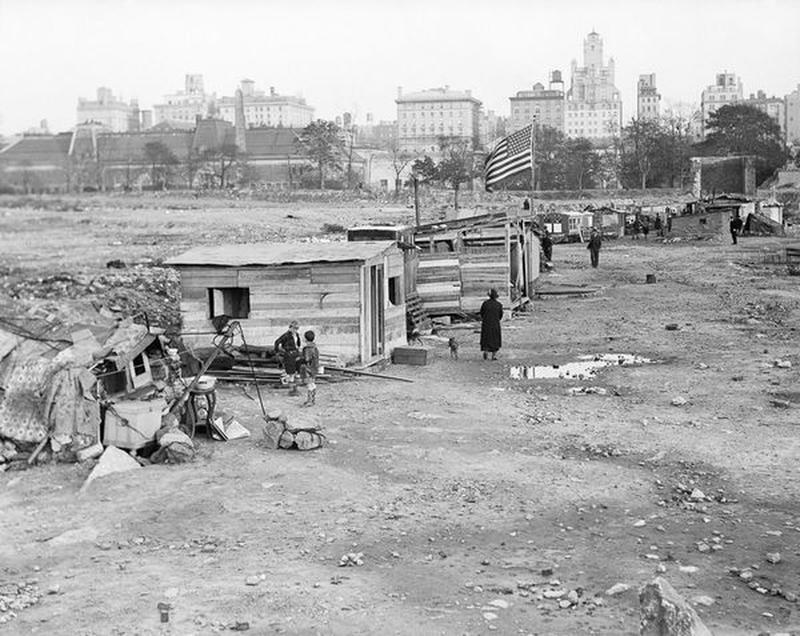 Here is a look inside some of the Hoovervilles in New York City, Portland, and Seattle. 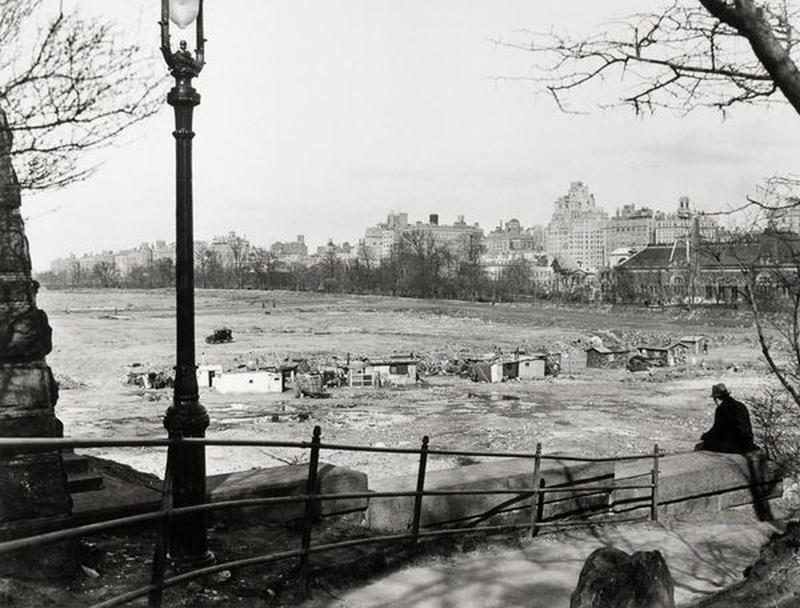 The first Hooverville to spring up was in a barren Central Park in New York City, as seen in this 1933 photo. 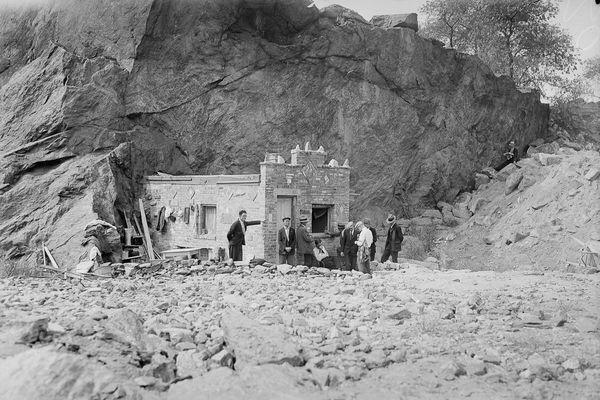 This Sept 22, 1932 photo shows the first headquarters of the Central Park Hooverville. This building was known as "The Mansion". July 16, 1934. 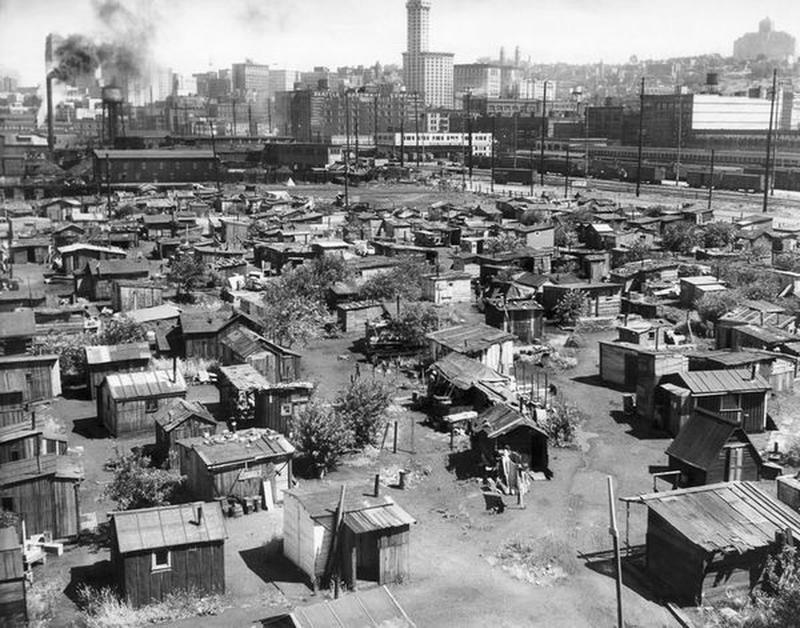 Here is a view inside the robust, dense Hooverville in downtown Seattle. 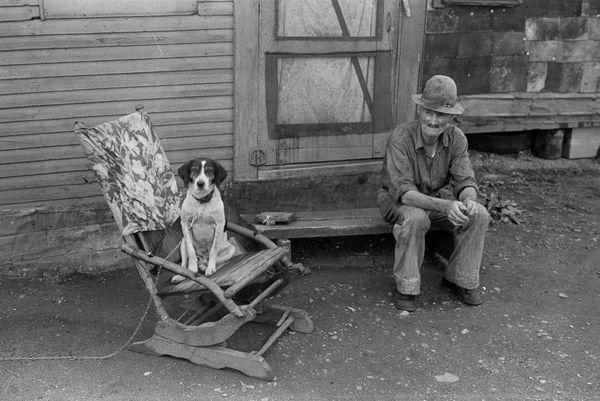 A man and his dog take a break in a Hooverville in 1938. 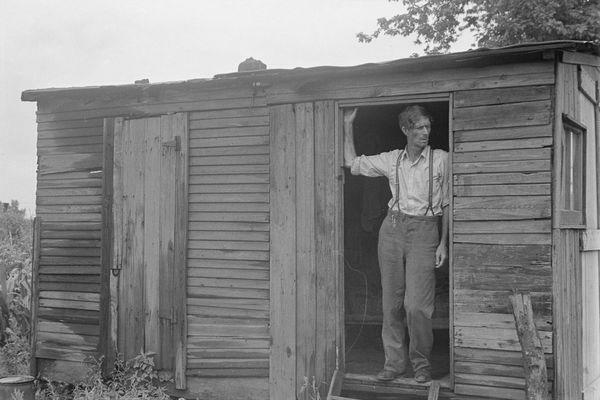 Another 1938 photo of a man at his Hooverville home. 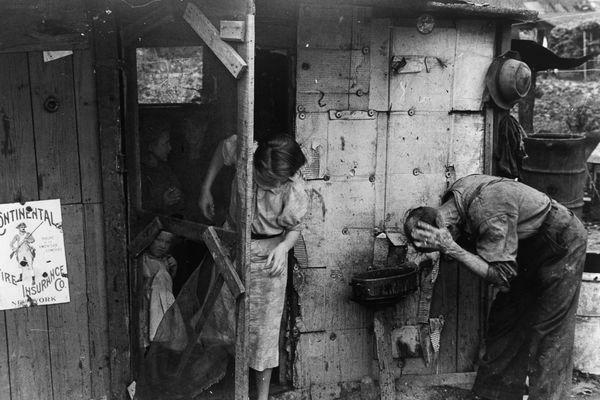 Another view of a family in the Seattle Hooverville. Note that they even had street numbers! 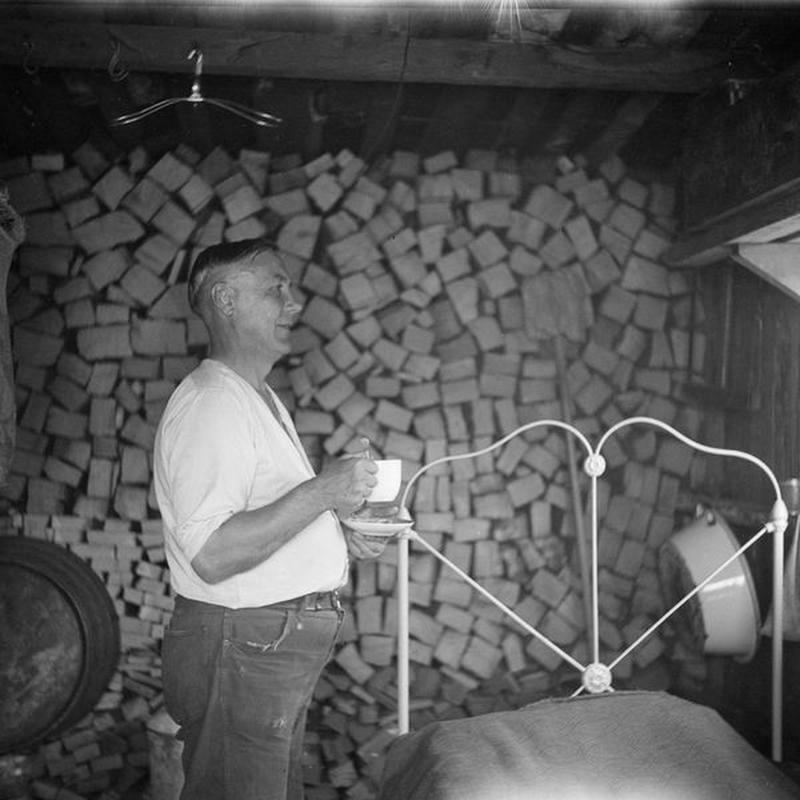 Here's a view of a resident in the Portland, Oregon Hooverville in 1936. He's ready for a long winter with a full stack of firewood. 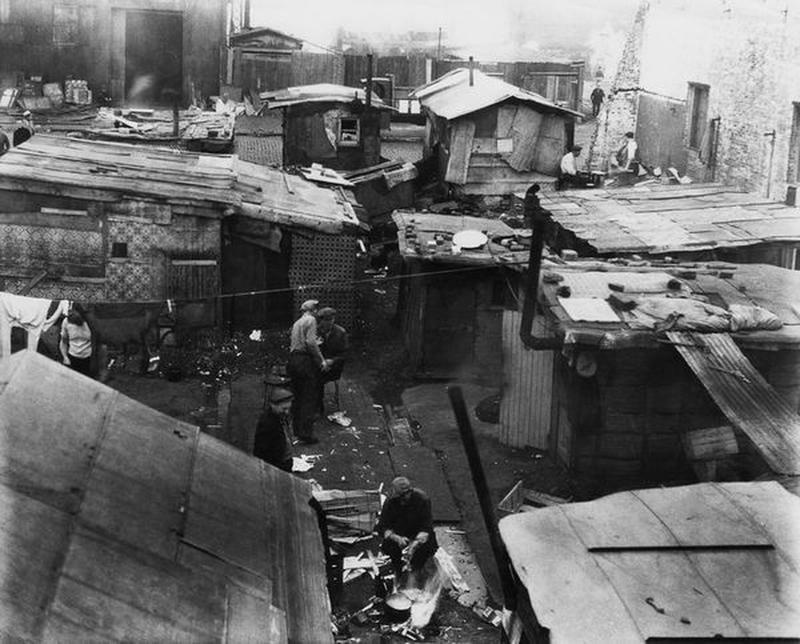 The families in the Seattle, WA Hooverville improvised water supply from rainwater. 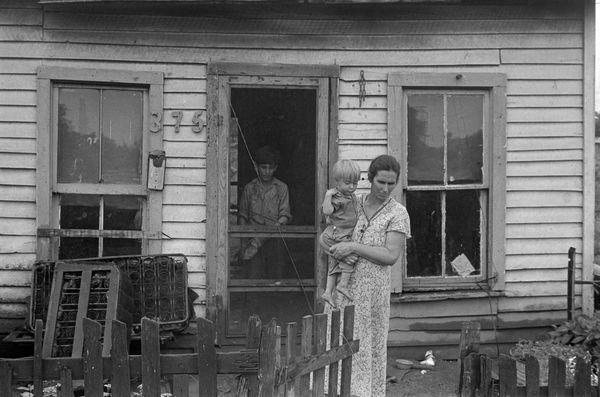 Hoovervilles housed all kinds of families and stories. 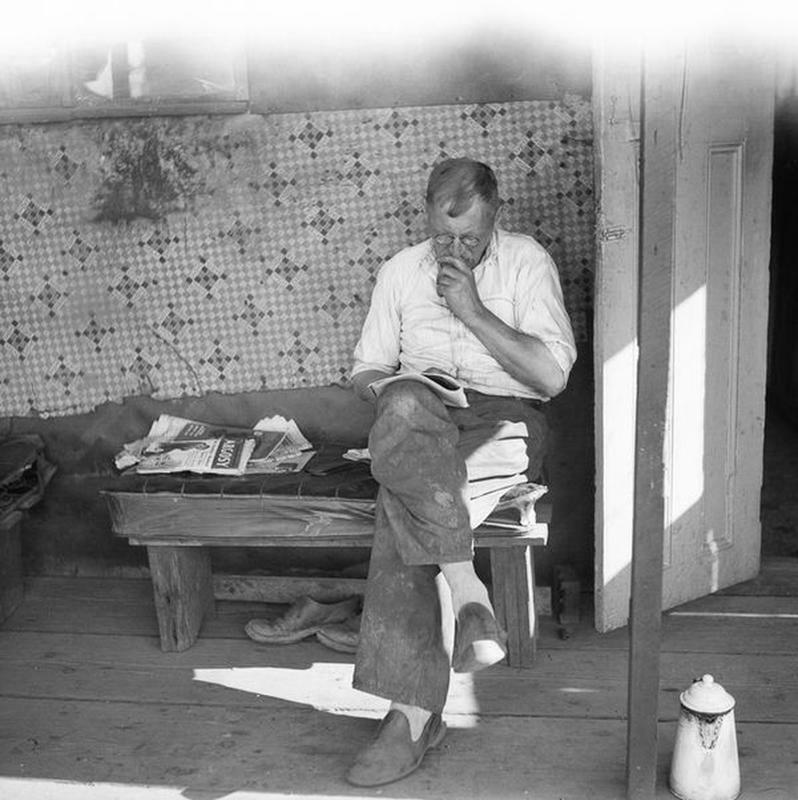 This 1936 photo from the Oregon shantytown shows a part-time fruit worker catching up on his reading.